According to KDVR News Director Brian Gregory, today is a “PP WAD” day. 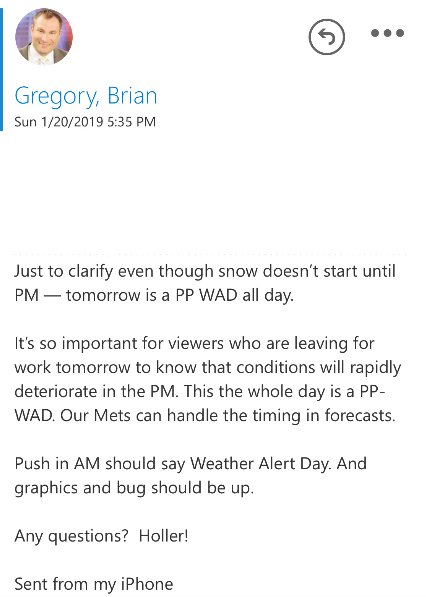 At first, I thought a PP WAD is something you get when you sleep around, but I have been informed that PP WAD stands for Pinpoint Weather Alert Day. If I was Brian, I might want to work on that abbreviation, or get a shot of penicillin.